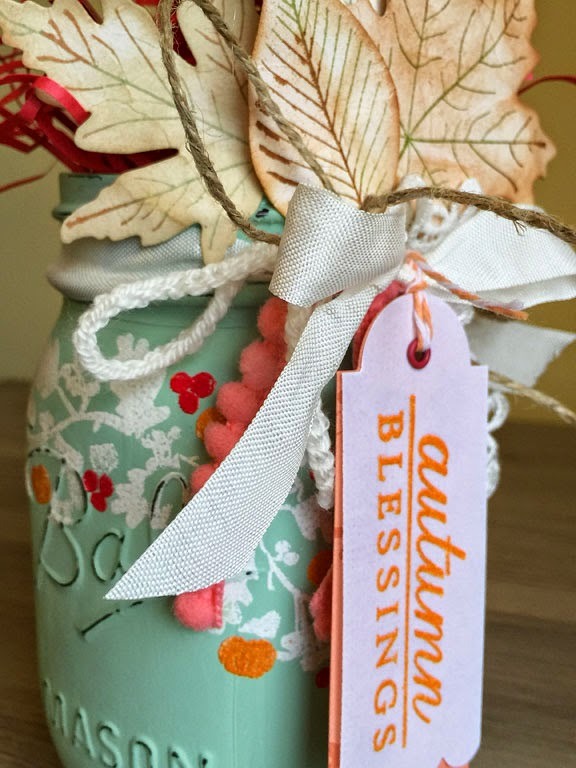 This month's Make-It-Monday challenge is hosted by the Queen of Shabby Goodness, Melissa Phillips. 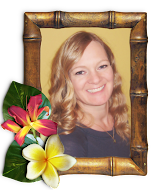 She has shown us her techniques for creating fun home decor by painting and embossing on mason jars. If you would like to check things out for yourself, you can find all the info here. 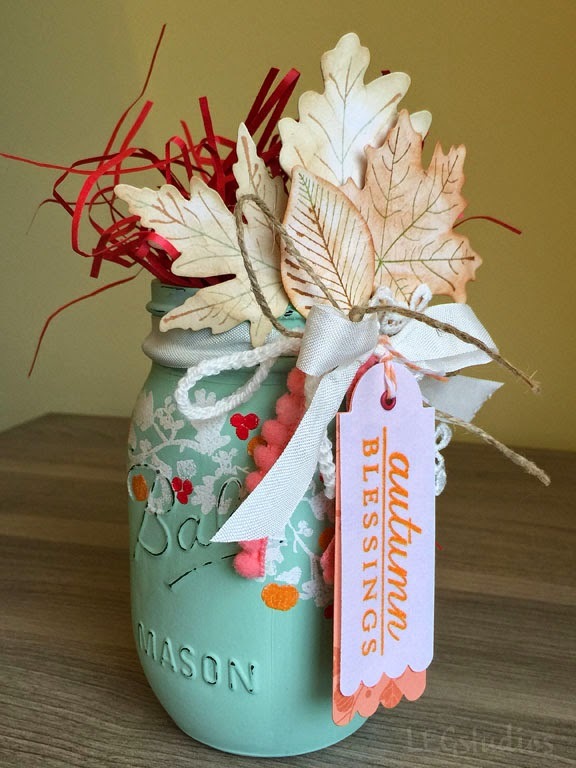 For this challenge, I first painted my mason jar a vintage green color. Then I stamped using the Autumn Adornments set using white, orange, and red embossing powders. 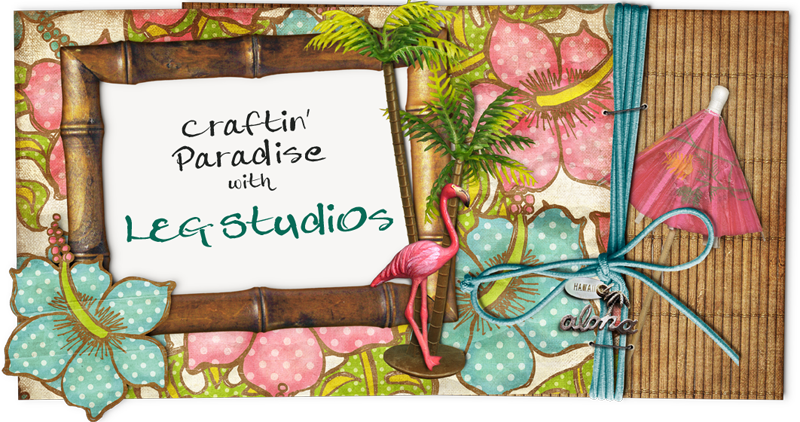 I decorated a trimmed down Tag Sale #9 with a sentiment from Sunflower Bouquet. I tied on some ribbon and trims using Melissa's fabulous junk bow technique and lastly, added a few crinkled and inked leaf die cuts to accent. This technique was much easier than I'd anticipated and it sure gives a lot of bang for your effort! Thank you, Melissa, for sharing your talent and ideas with us! Very nice!! So nicely put together. I esp. Like how you stamped the vine and flowers.